In Michigan, claims for injuries resulting from a motor vehicle accident are controlled by the no-fault Insurance Act, MCL 500.3101, et seq. Under the No-Fault Act, persons who suffer injury as a result of a motor vehicle accident have two separate and distinct claims. The first claim is for certain economic benefits. This claim is known as the first-party claim. The First-Party claim is payable without regard to who was at fault for the accident and is generally against the injured party’s own insurance carrier. The available benefits include allowable expenses, wage loss, replacement services, and where the accident results in death, survivors’ loss benefits. These benefits are called “personal protection insurance benefits.” Other common references are “PIP benefits,” “no-fault benefits,” or “First-Party benefits.” The benefits are broader than most people know. They can even cover a nurse case manager. Such a person is extremely helpful in scheduling appropriate medical care. Often this will be paid for by the no-fault carrier. The second claim is the liability claim against the negligent driver or owner. This claim is known as the third-party claim. The third-party claim is limited by the no-fault Act. The Act provides that in order for the injured person to maintain a suit against the negligent driver or owner for non-economic damages (pain and suffering), the injury must meet the threshold of a serious impairment of body function; permanent serious disfigurement; or death. MCL 500.3135(1). If the injury does not rise to the level of the no-fault threshold, the injured party’s claim for non-economic damages is barred. 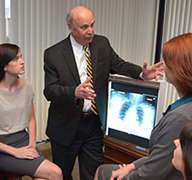 The application of the threshold of a serious impairment of body function is one of the most controversial and litigated areas of automobile accident law. The statute defines a serious impairment of body function as “an objectively manifested impairment of an important body function that affects the person’s general ability to lead his or her normal life.” MCL 500.3135(7). 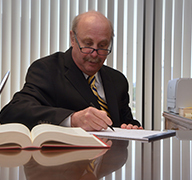 Kreiner has been criticized for going beyond the plain meaning of the statute. However, at least for now, it remains the law. The application of Kreiner has led to many unfair and unjust results. Choosing an attorney who specializes in no-fault law and is familiar with the current state of the law is essential to protecting your rights. 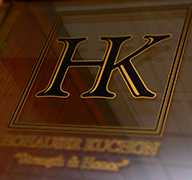 Contact the experts of Hohauser Kuchon today to get started. Watch as Sarah Kuchon explains No-Fault insurance in Michigan, including the difference between first and third party benefits and the Kreiner standard.